Episode 28 is here, and so is Katie Pavlich, the guys' favorite guest! A lot has happened in the two days since the midterm elections, and Katie, Matt, and Storm are ready to tackle it all. The three first address the tragic mass shooting in California, that left 13 people, including the shooter, dead. Without missing a beat, politicians and political commentators were quick to call for gun control, and some even blamed President Trump for the shooting, as they peddled a debunked lie that the president allows people with mental illness to obtain firearms. 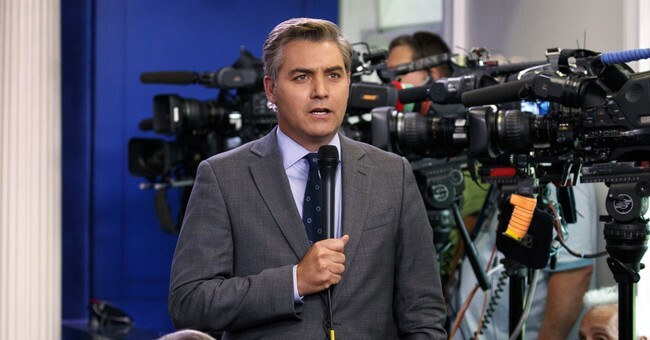 After Jim Acosta's little stunt at a presidential press conference on Wednesday, the White House revoked his press credentials. Let's just say; he was a little triggered. The trio also discusses the firing of Attorney General Jeff Sessions. Though everyone seemed to know Sessions would be on his way out the door after the midterms, many weren't expecting it to come so soon. The president certainly knows how to dictate the news cycle. Among other subjects, they criticize the leftist mob that is "Smash Racism DC" as they surrounded Fox News host Tucker Carlson's home and smashed in his door, while his wife was home. She was forced to hide in a closet and call 911. Leftists are totally unhinged. Much more is also talked about in this latest episode of Triggered from Supreme Court Justice Ruth Bader Ginsburg breaking three of her ribs to some key midterm election analysis and where Republicans go from here. Tune in, so you don't miss out. For more Triggered, follow us on Twitter @TriggeredTHM and like us on Facebook here.